Nail art is the most loved adventure of every second girl, it is a creative way to paint or decorate your nails. It is a type of art that is done on fingernails and toenails. 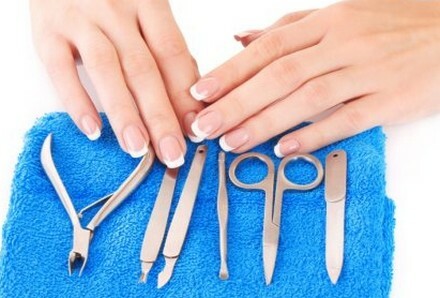 Nail care industry is growing very fast after the invention of modern nail polish. Nail art done by itself is considered as a stress reliever. Nail art is also beneficial for physical and mental health. 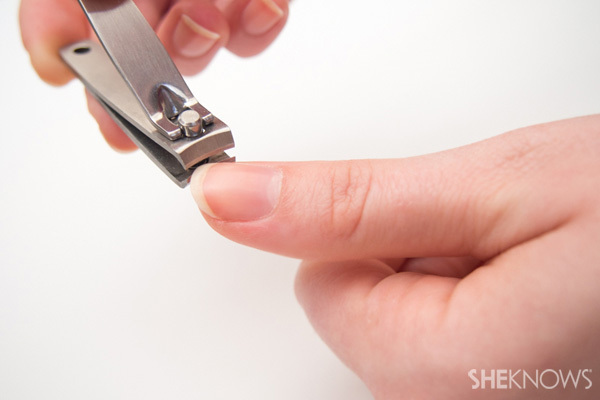 Nail art is also a great way to hide any chips or imperfection on nails. 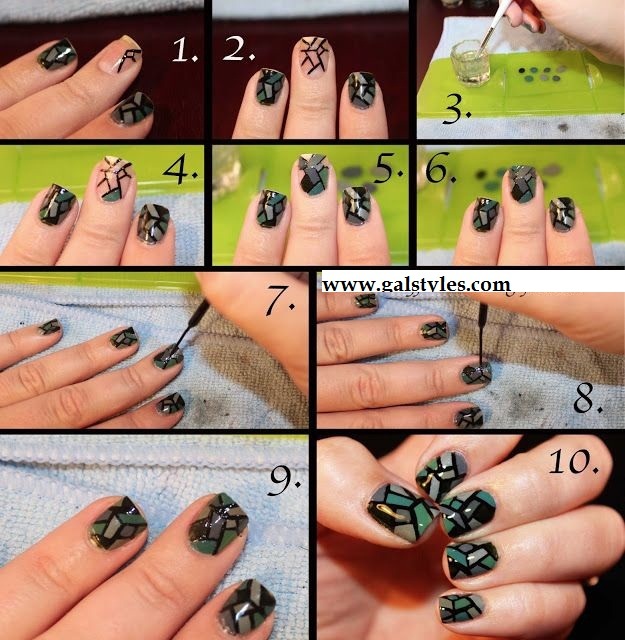 There are no limitations to it, nail art can be of any type or style. 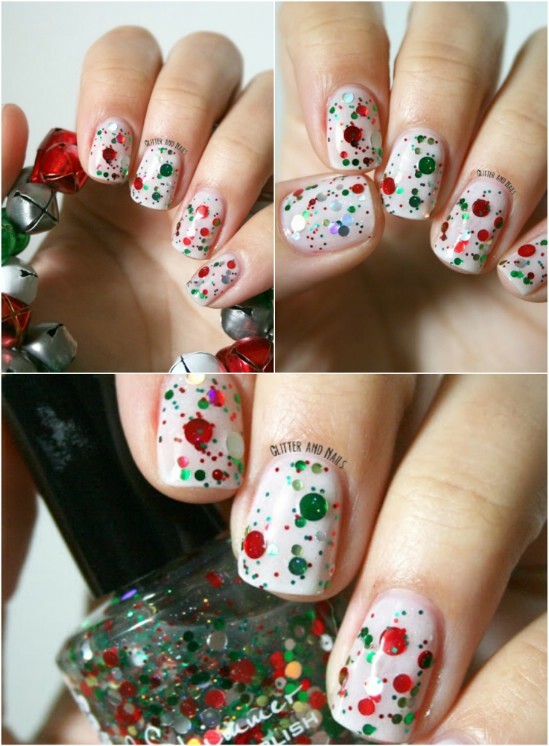 Red and green glitter is the best and easy nail art for Christmas as it uses less time and money. If you want to make your nail art for Christmas and if you have red and green hex glitter in your collection then you can make your nails with just these two glitters .First of all make a base of three coats of china glaze frosty on your nails and let it dry. Remember that you need not to worry if it is not perfectly all on your nails because you will have to put glitter on it later. Then paint red and green hex glitter with the brush of snowman polish. You don’t have to be too obvious for red and green combination. If you can’t find both colors in on bottle you can use two different bottles of red and green glitter and few glitter flakes on white base will do just fine. 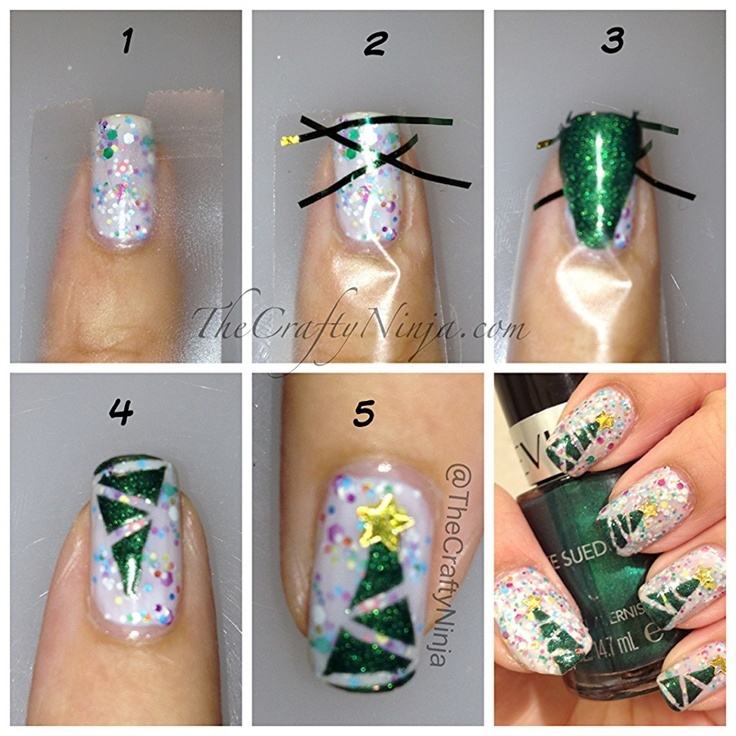 Red green and white are not only Christmas appropriate shades but shades like jewel tones have a good impact when used to design snowflakes on your double accent nails. Purple is a kind of festive shade that sits perfect on white base. 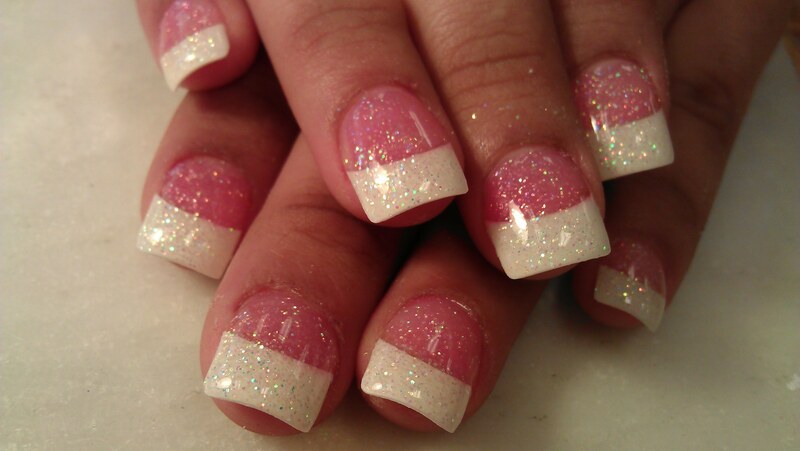 For this nail art you can use picture polish lakodom for the white base. Now use two coats of picture polish lollipop as to glitter. Then using pure color freely throw snowflakes and then take out some glitter bits from Lollipop to scatter them and finally top it all with a single coat of Glisten and glow. 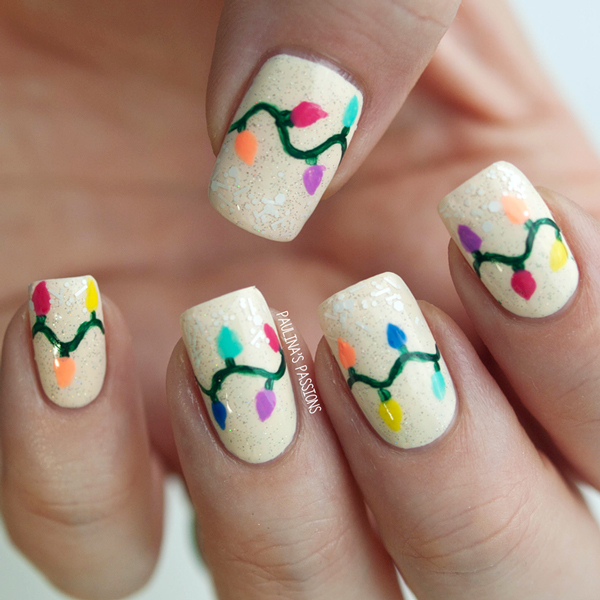 That’s right these nails not only have Christmas bulbs painted on them, they also glow in the dark when you switch off the lights. They don’t look much fantastic in the day but wait for the night & you will love your nails. Now how to make it happen? First of all start with the base of sky blue jelly of Nfu Oh Js15. Actually this color will support the idea of daytime nail art. 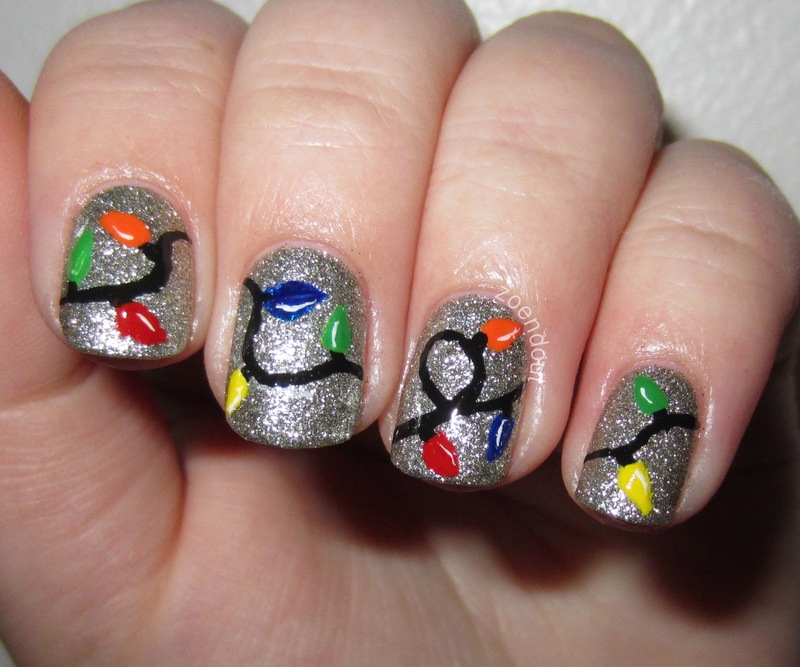 Then use pitch black polish to make the cord and little socket areas that the bulbs screw into. Using OPI Alpine snow you can paint light bulb shapes and then fill these bulb shapes with glow polishes of different colors. 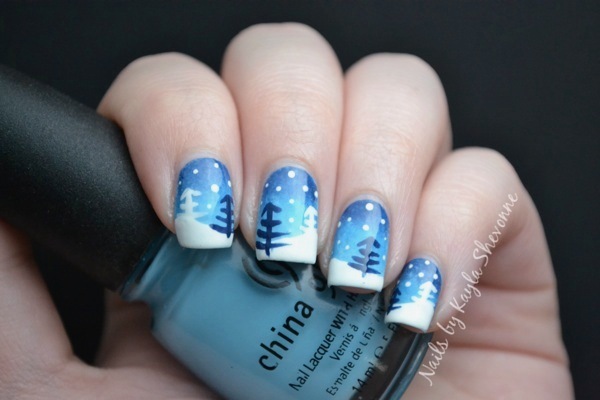 Welcome to the winter wonderland nail art. 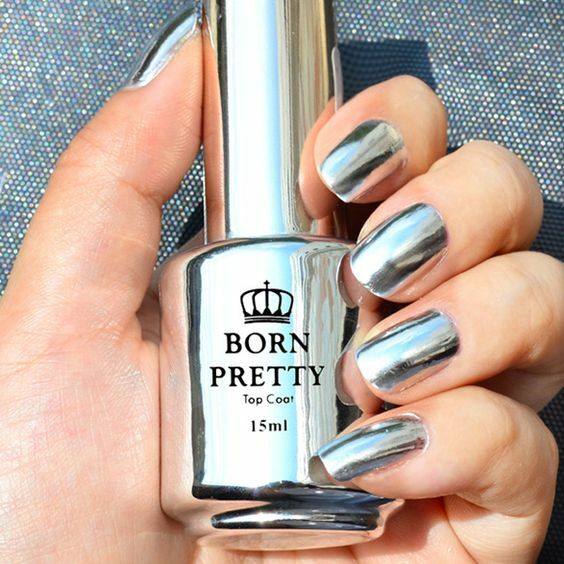 Don’t just ignore it, it can be your favorite manicure ever, an icy dark snowy forest in monochrome black and white. OK, let’s start with the base of Picture Polish Lakodom and sponged with Glam Polish Avalanche. 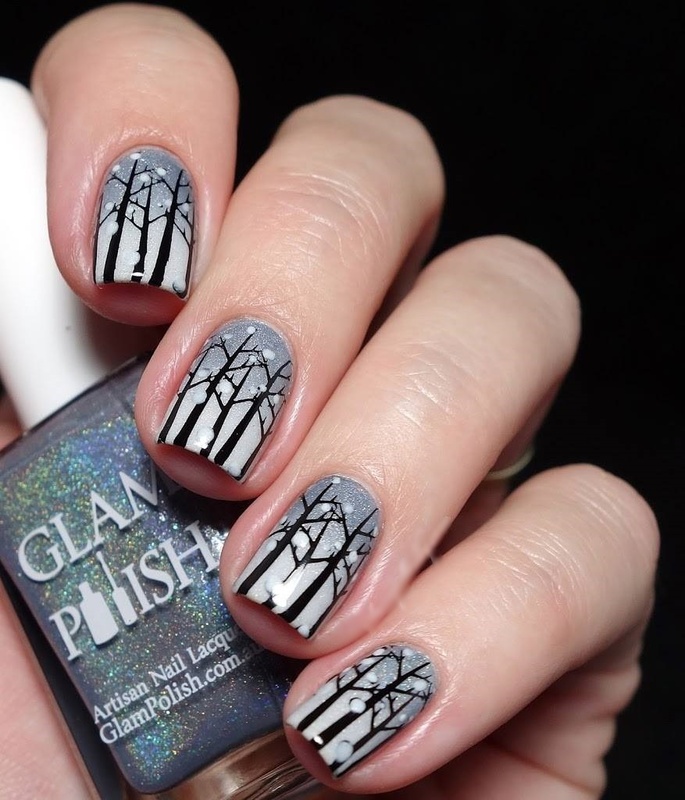 Now using black nail polish you can stamp the blacked trees and then by using dotting tools make the falling snow on the trees. I am sure that you will really love it. A classic red nail polish is a symbol of Christmas, just add a few little golden metallic beads for a little for neat look. I personally love this color and that’s why this is my mostly used nail polish. All you need to do is to just apply two base coats of this lovely color and then apply some golden beads on it. This beautiful combination will definitely make you fall in love with it.